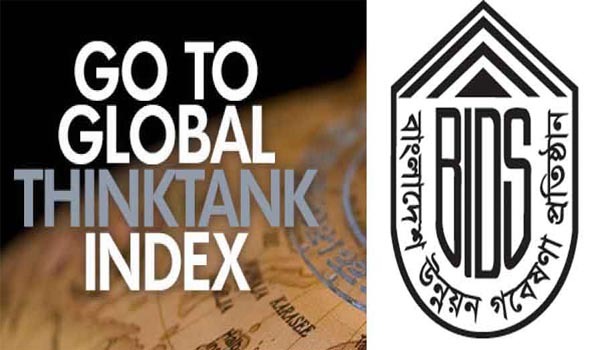 The Bangladesh Institute of Development Studies (BIDS) is proud to share the news that the position of BIDS has improved in two categories according to the 2017 Global Go To Think Tank Index (GGTTI). BIDS moved up 2 spots and ranked 102 (which was 104 in 2016) under the category of “Top Think Tanks Worldwide (US and Non-US)” and strongly holds the 16th position under the category of “Top Think Tanks in Southeast Asia and Pacific”. The ranking is done and published by The Think Tanks and Civil Societies Program (TTCSP) of the Lauder Institute at the University of Pennsylvania. The Global Go To Think Tank Index (GGTTI) is currently in its eleventh year of continuous efforts to acknowledge the important contributions and emerging global trends of think tanks worldwide. A total of 7,815 think tanks all around the world catalogued in the TTCSP’s Global Think Tank Database were contacted and considered while ranking the institutions.